Posted May 14, 2015 by Sage & filed under Media, Yoga. My friends at Yoga Journal are offering Everyday Yoga excerpts to pique your interest in the book and jump-start your home practice. While the book is for not just athletes but everyone, the excerpts are keyed to pre- and postworkout routines, and you can string them together to do a complete practice. 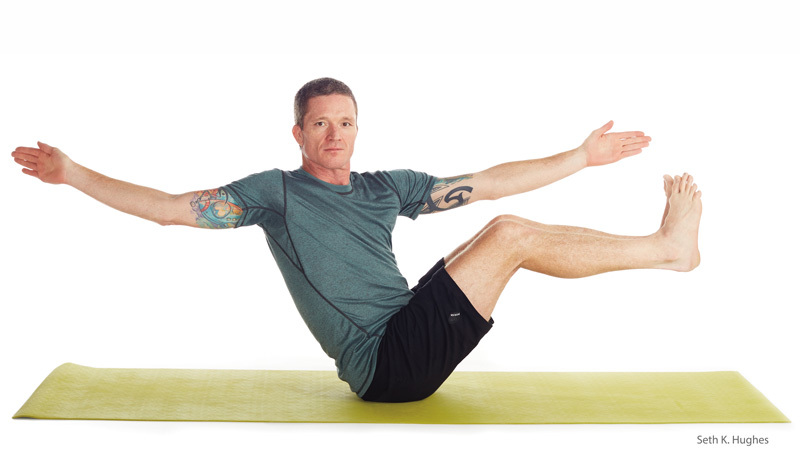 Post-workout, slip in some core work to balance your strength front to back and work your obliques to support yourself through your next workout or yoga practice. Instead of just adding a couple sets of crunches to your training session, try this routine designed to target every layer of the core muscles front and back, as well as the glutes. These back and abs moves are sweetened with quick rests in delicious hip stretches. Ready? Visit the Yoga Journal website to follow along! And, if you haven’t already, preorder your copy today!